Rosenburg Riding Stables is receiving a new addition. When a famous French jockey wants to board his prize gelding, Elfin Dance, at the stable, horse-crazy Antonia is overcome with joy and excitement. Antonia immediately forms a deep connection with Elfin Dance, but no one else at the stable can get near him; he bucks them, runs away, and is generally cranky around anyone but Antonia. But while Antonia is fully capable of looking after Elfin Dance, will the famous Frenchman allow an eleven-year-old girl to care for his prize horse? When the jockey turns up unexpectedly to check on his Elfin Dance after a particularly heavy storm, will everything come unraveled with the horse’s training, or can Antonia save the day? 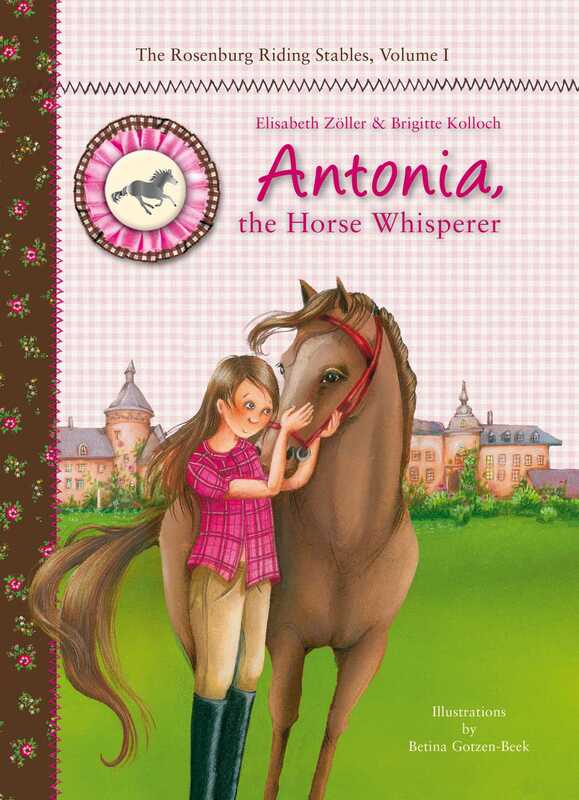 A friendship between girl and horse beautifully told by Elisabeth Zöller and Brigitte Kolloch, featuring color illustrations by Betina Gotzen-Beek, Antonia, the Horse Whisperer highlights a classic first love for many girls and sets the stage for a new horse series for young readers.